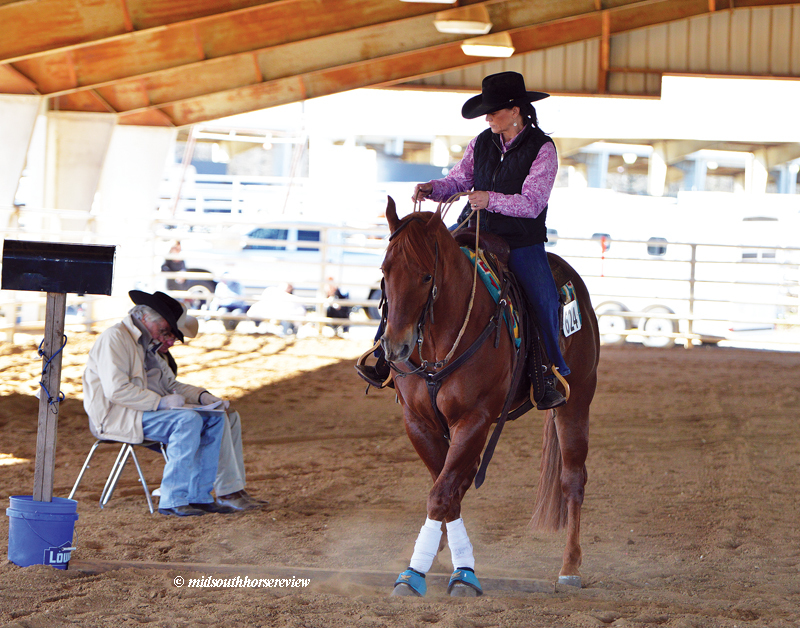 The Volunteer Ranch Horse Association (VolRHA) brought its first of two spring shows to the Show Place Arena in Memphis, Tenn., March 15-17, 2019. 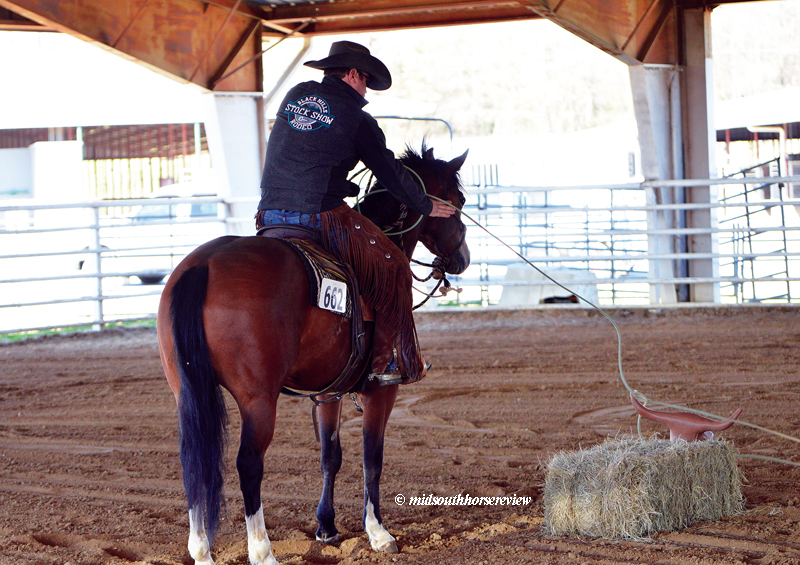 Dubbed “March Madness,” the show ran classes in both the outdoor covered arena and the big indoor arena. 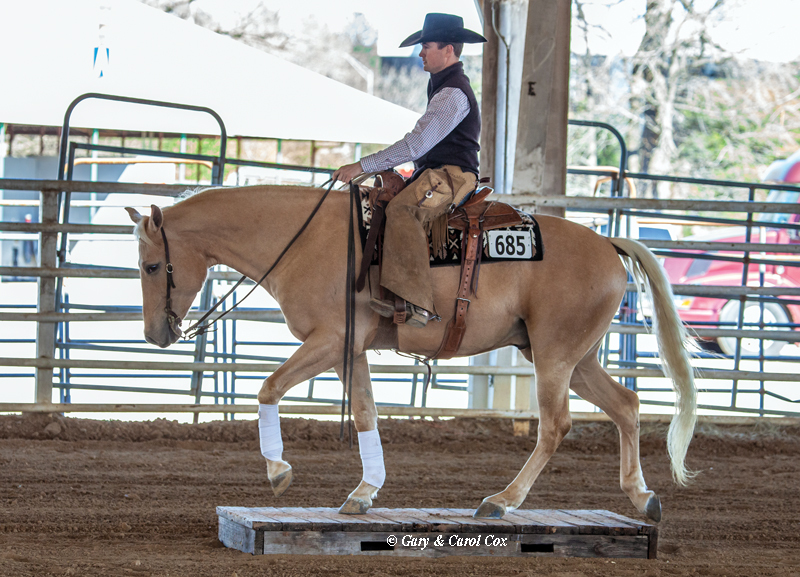 Hosting events from three organizations – NRCHA, AQHA, and Volunteer Ranch Horse Association – brought an estimated 300 entries to the show from states as far away as Michigan, Ohio, Georgia, and the mid-south area: Tennessee, Arkansas, and Mississippi. The show offered a little bit of everything, for young and old and in-between. 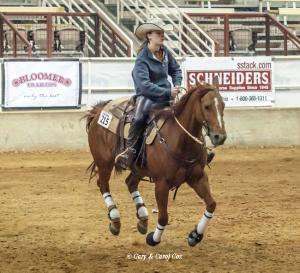 Action started on Friday evening with AQHA Roping, featuring separate classes for heading, heeling, tie down, and breakaway. The show opened early Saturday morning with VolRHA herd work and cutting. Then came the “model” classes with various categories of conformation and showmanship. Trail classes, Ranch Riding, and Ranchmanship dominated the outdoor arena the rest of Saturday. In the indoor area, Saturday’s classes started with VolRHA Open Working Cowhorse, followed by the NRCHA classes, VolRHA boxing, and then AQHA reining and cow work classes. 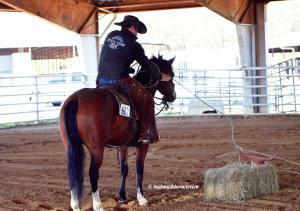 Sunday’s classes were in the indoor arena, starting with VolRHA Ranch Reining and AQHA Reining classes. 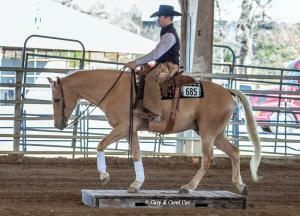 The rest of Sunday’s classes were the Bridle classes, Hackamore, and Two Rein classes, finishing with AQHA Senior Horse. The NRCHA Open Hackamore and NRCHA Open Bridle classes offered $300 added money. Generally, the show offered $1050 added prize money per day. 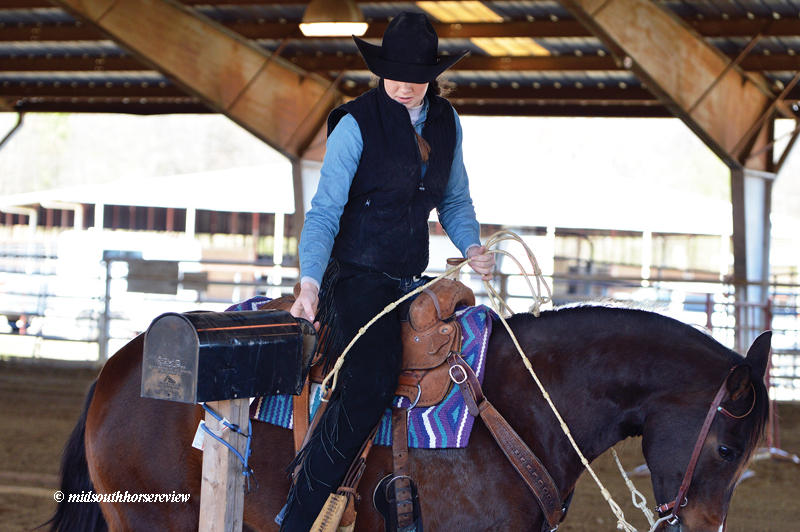 The Volunteer Ranch Horse Association will be back at the Show Place Arena in Memphis for the Spring Fling on April 12-14, 2019. 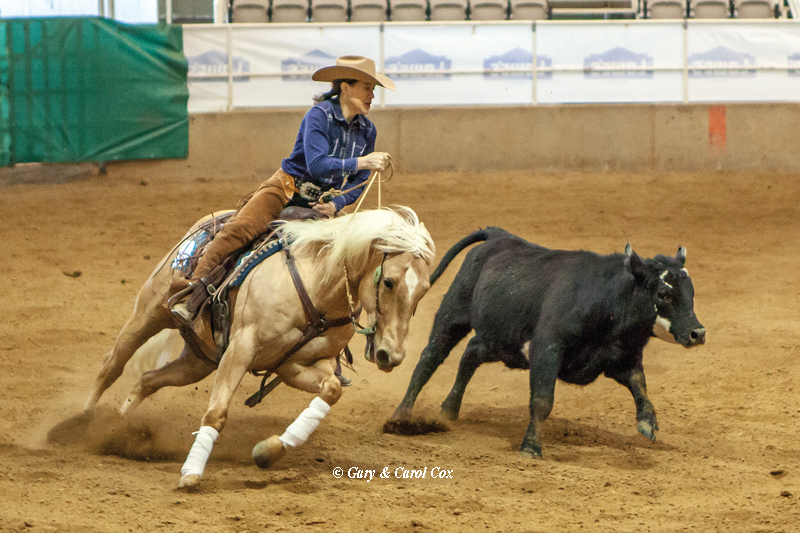 This show will feature the DC Cow Horse Gear Derby and the Tennessee equine Hospital Bridle Spectacular, with added money and prizes for the show totaling $10,000. In May and November, VolRHA travels to the Miller Coliseum in Murfreesboro, TN for two shows. August 30-September 1, the VolRHA show will be at UT Martin in Martin, TN. Find out more about their upcoming shows at: www.volrha.com.